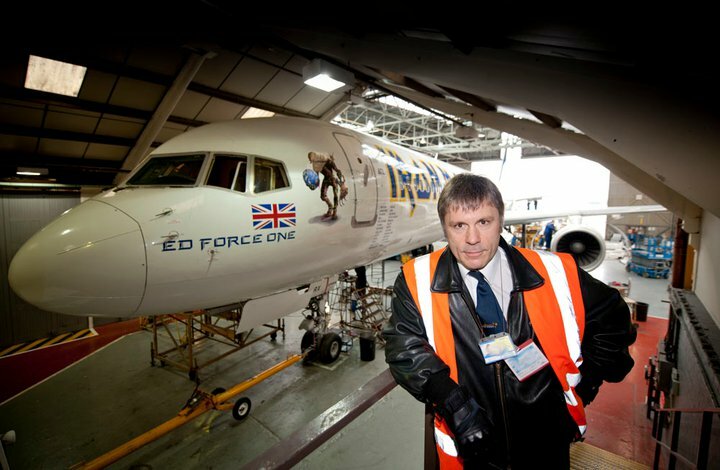 Iron Maiden frontman Bruce Dickinson will be a guest speaker at Humber Business Week in Hull, England. The Hull Daily Mail reports Dickinson’s June 3rd appearance will see the singer share his philosophies of business and enterprise with guests at the Humber Business Luncheon at the KC Stadium. Dickinson will give guests an insight into how he manages to combine diverse business and personal interests across sectors and continents. "The Humber Luncheon is one of the highlights of our events calendar – we always aim to secure high-profile speakers and this year is no exception,” said IoD chairman Richard Tuplin. “Bruce Dickinson is the lead singer of one of the world's greatest rock bands, a commercial pilot, business angel, entrepreneur and creative business thinker. With his captivating style and humor he is sure to entertain and motivate." Dickinson and Iron Maiden return to live action with their Maiden England European tour; shows begin May 29 in Lisbon, Portugal.